I have completed AWS solution architect training in 3RI Technologies by Vibhu Sir. He teach all the concepts very well with industry level examples. Teaching is very nice, they solve all the queries and the class has got good environment with great infrastructure. I been to this institute for selenium training, I like the syllabus and the way faculty taught, even I attend other free sessions for devops, python, SAP. I found it the best and geniue institute in pune, which deliver the best and also assist for job after completing the course. Worst ever experience. Unprofessional and non punctual class I have ever been. Has lot of issues. nothing systematically done. Classes used to get cancelled most of the times. In addition to it no re-lectures used to be there. Shall never recommend it to anyone. 3RI is the worst institute. I had joined this institute for DevOps course, worth 15k which was sheer waste. They didn't complete the course and had given just an overview of the tools, didn't provided the study material even. It was a compete waste of money and time. I have completed PYTHON training in 3RI Technologies by Amey Sir. He teach all the concepts very well with industry level examples. The class has got very good staff. 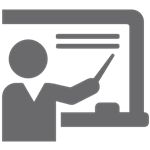 Teaching is very nice, they solve all the queries and the class has got good environment with great infrastructure.